All electronic devices can potentially suffer from Data Breaches if not protected correctly. The breach can be in violation of Data Protection laws if the Data Protection Commissioner is not informed. 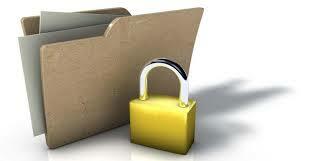 Secure document destruction is an important part of business and organisation incorporate. A recent event involving a personal computer used in a federal building that contained details of child support accounts, and social security details and other hard drives that may have contained user details. A US watchdog wrote an open letter to the federal government asking why staff member was able to use a personal device to access these details, given that it violates the security policy. The letter continues and mentions other Data Breaches in government buildings and the lack of Data Protection. Situations like this increasingly more common and not just government buildings. Bank account details have being breached. Online accounts to various sites have being breached and this happens on a global scale. You will hear that the breach occurred because someone left a device behind them. Be it the seat of a train home from work, a USB key dropped in a cafe. The human error of forgetting something is not the problem (we all forget things from time to time), but the issue is the data contained on these devices and the lack of protection in place especially devices with sensitive data. It is worth knowing your company polices on weather or not personal devices are allowed to conduct business actions. Also if using company devices weather or not you can use personal applications on them. It is important to know this. We live in a time of technology and information being widely available and with the increased usage there is also the potential of breaches. How these breaches occur will can vary but there are common factors and technology is written with a universal language. Enalble location of device if appliable in case it is misplaced. Be aware of what information is stored on a device (paper or electronic) and the potential breach that could occur if misplaced. This entry was posted in Confidential Shredding, Corporate Social Responsibility, Data Destruction, Data Protection, Digital Data, Identity Theft and tagged Confidential Shredding, Data Protection, document shredding limerick, EN 15713, ISO 27018, Secure Shredding by Security in Shredding. Bookmark the permalink.